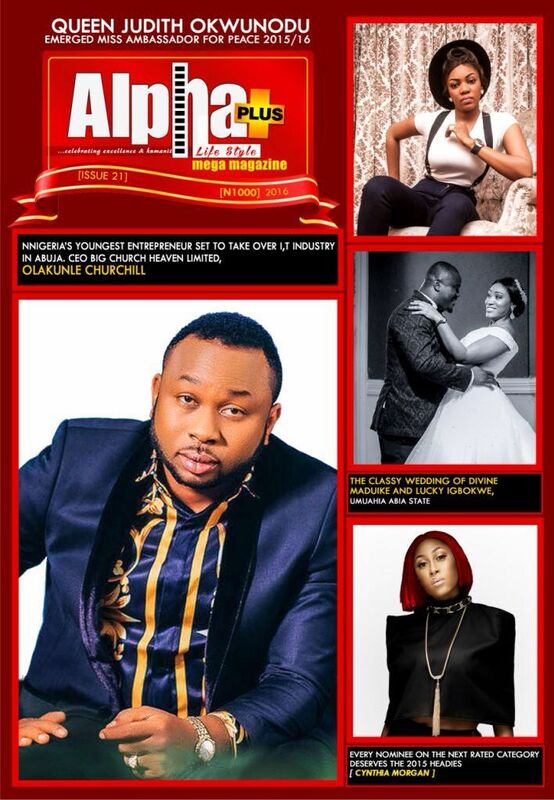 The 21st edition of the Alphaplus Mega Magazine hit the stands this week with notable celebrities featuring on the cover. 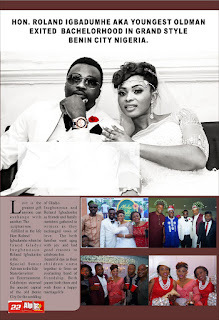 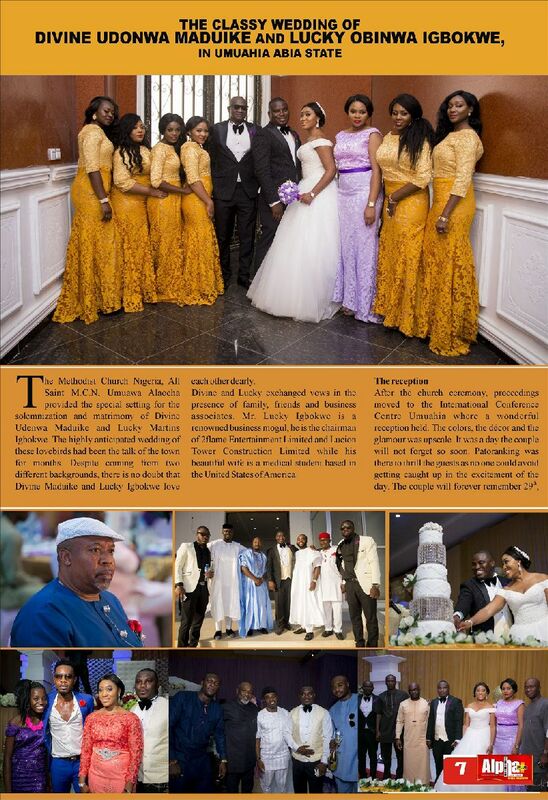 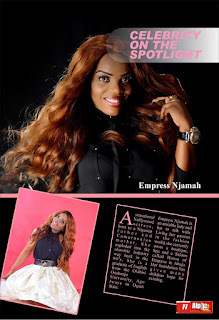 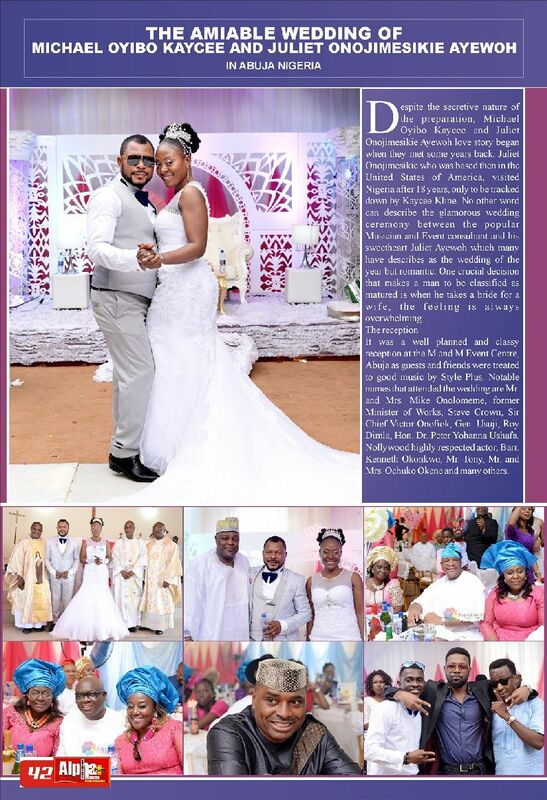 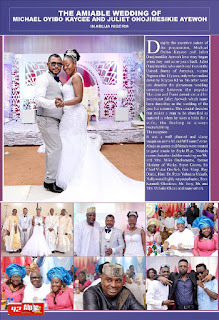 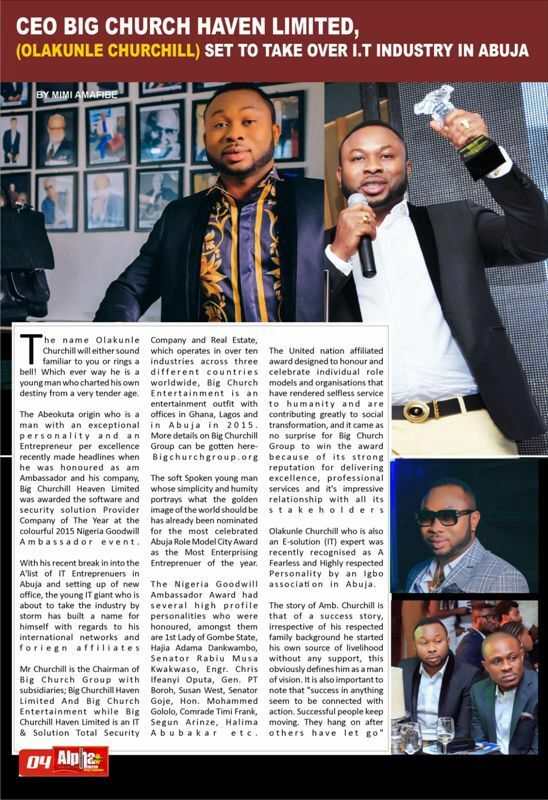 The magazine which has continued to receive positive rave since its inception features Nigeria's Youngest Entrepreneurs, Big Church Haven Limited, Olakunle Churchill , Nigerian regga star Cynthia Morgan, Mr. Lucky Igbokwe wedding and Queen Judith Okwunodu, miss Ambassador for peace Nigeria. 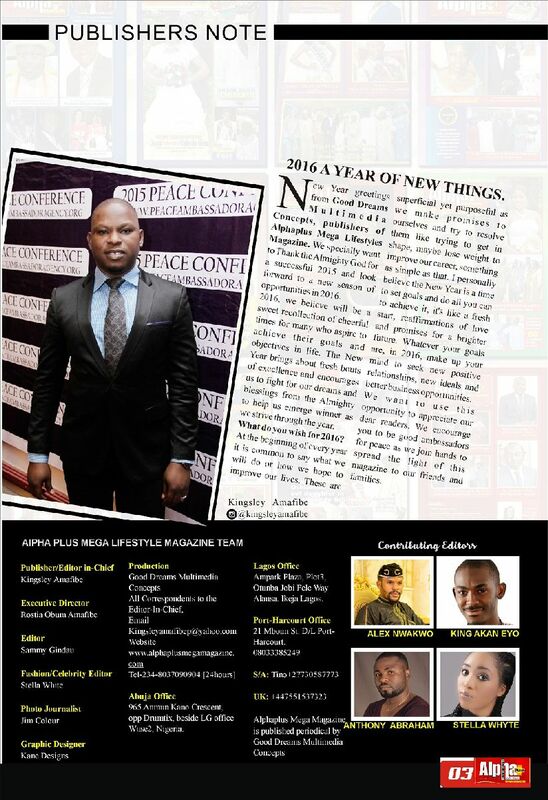 In a statement made available to leadership to the entertainment desk, the publisher, Amb. 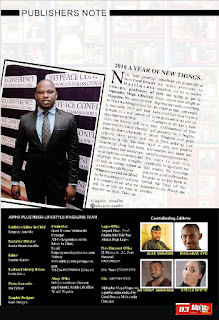 Kingsley Amafibe, said the magazine celebrate excellence and humanity and would be launched in April. 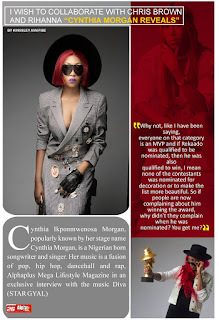 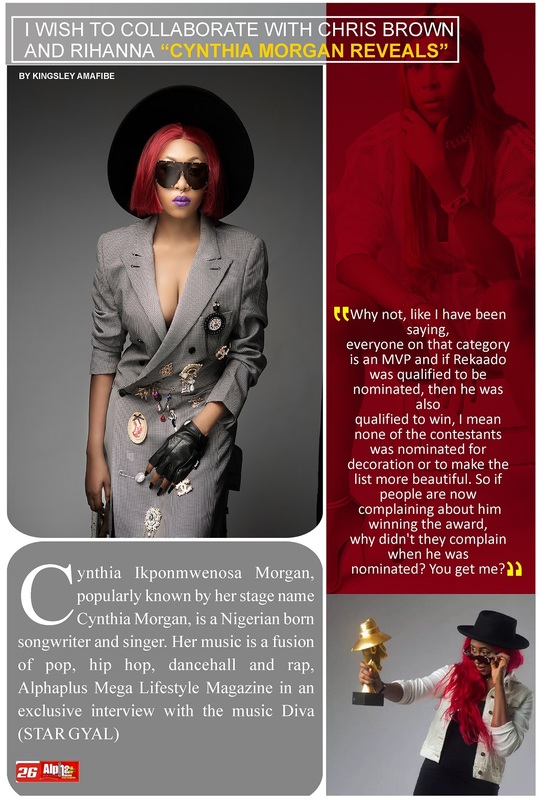 He also want everyone to know that the magazine is made to celebrate people of repute and entertainers in the country.
" 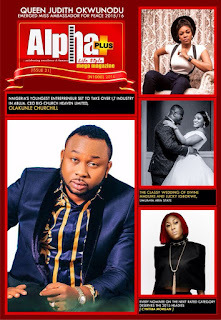 I am happy to announce to Nigerians and other international partners that the long awaited Alphaplus Mega Magazine is out. 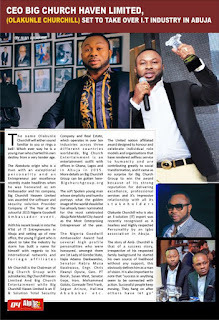 I want to call on well meaning Nigerians to support this laudable idea that will create lots of opportunities for the youths. I believed the magazine will go along way in satisfying the thirst of readers." 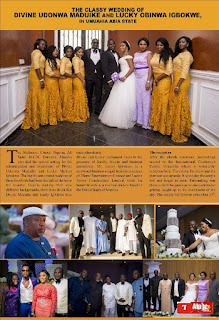 Describing this edition, a popular media practitioner in Abuja said this latest publication prides itself of attractive eye-comfort quality,‎ beautiful and flowery languages,‎ very rich and impressive contents‎ and ofcourse large scope of readership.